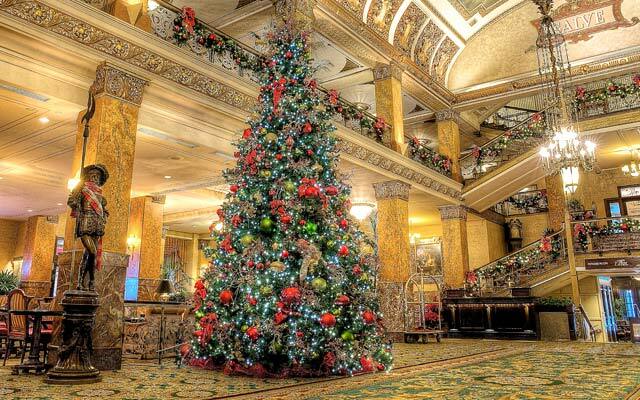 Christmas activities in Milwaukee at The Pfister are an unparalleled experience. From the moment that Santa Claus himself flips the switch to light the Christmas Tree in the lobby on the day after Thanksgiving, to breakfast with the jolly old man himself in the days leading up to the 25th, there are plenty of memories to be shared for young and old. In keeping with our Travel Green Wisconsin Certification, The Pfister Hotel’s grand lobby features an 18–foot LED–lighted holiday tree. Along with our roaring fireplace, The Pfister Lobby sets the stage for the season. Join us on Christmas day for the Pfister's legendary Christmas brunch in Milwaukee, or for a plated dinner offering in Mason Street Grill. The Pfister Hotel is celebrating its 125th anniversary in 2018, and its annual tree lighting ceremony is one of Milwaukee’s most celebrated and anticipated traditions. Featuring an 18-foot LED lighted holiday tree, the festive event includes complimentary holiday treats, music, hot cocoa and more. Parents are invited to bring their cameras, as Santa and Mrs. Claus will be arriving at 5:20 p.m. on a Milwaukee Fire Department fire truck to greet guests and pose for photos. Guests are encouraged to write letters to Santa and drop them in Santa’s special mailbox, which he will take back with him to the North Pole. While the actual tree lighting ceremony takes place at 5:30 p.m., the other activities extend to 6:30 p.m.
To support those in need during the holiday season, The Pfister Hotel will collect food for the Hunger Task Force and encourages guests to bring non-perishable food items. This event is free and open to the public. Enjoy complimentary parking with any purchase. 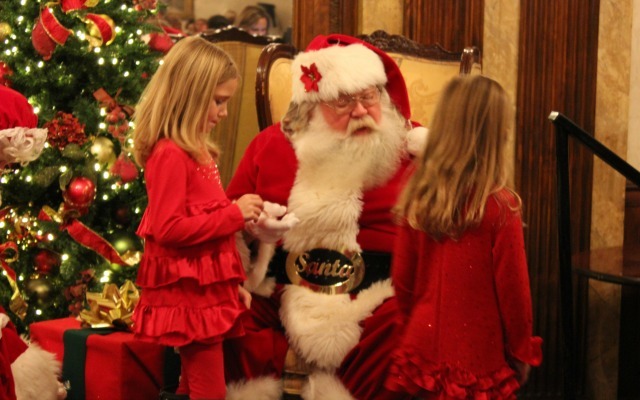 Breakfast with Santa is a Pfister tradition that creates lifelong memories. Now better than ever! 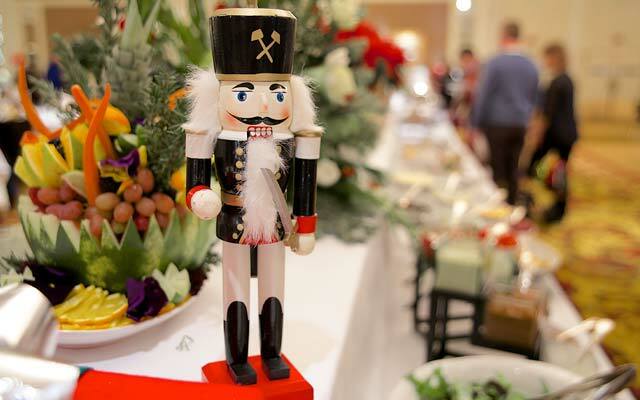 Guests have the opportunity to share a jolly, plated breakfast with Santa and his elves in The Pfister’s festive ballroom. Smaller seatings for each date will ensure that everyone has an exceptional experience. In addition to photos with Santa, which are highly encouraged(! ), every child will receive a special gift and will be able to make crafts and write letters to Santa. Don’t forget your camera to capture those moments during your Christmas activities at the Pfister, and especially with Santa. Credit card guarantee required. 48-hour cancellation notice required or full amount is charged. 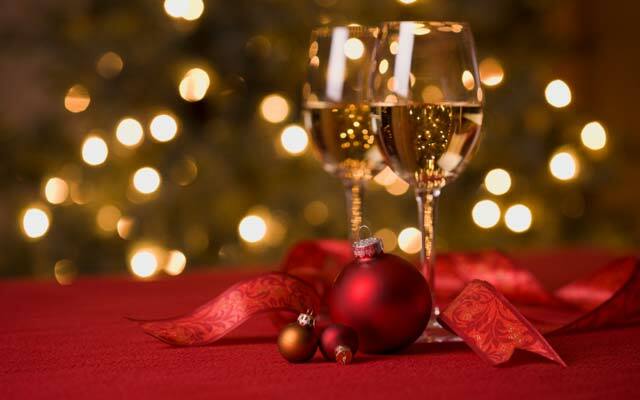 A Pfister Christmas brunch begins with a complimentary mimosa or Bloody Mary, followed by a spectacular buffet featuring a delicious assortment of appetizers, salads, entrees and decadent desserts in our elegantly appointed ballroom. Credit card guarantee required. 48-hour cancellation required or full amount is charged. Extend your experience and stay the night Monday, December 24 or Tuesday, December 25. Rates start at $109 per night, plus tax with the purchase of brunch. Experience classic American favorites from a specially prepared Christmas menu at Mason Street Grill. Planning a family event? Private dining rooms are available and can accommodate groups from 6 to 60.